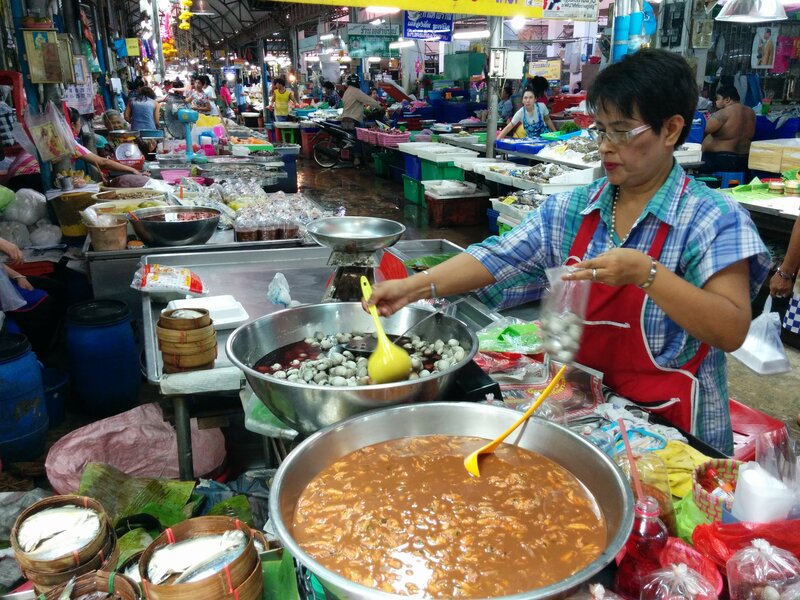 Want to explore local communities nearby Bangkok? 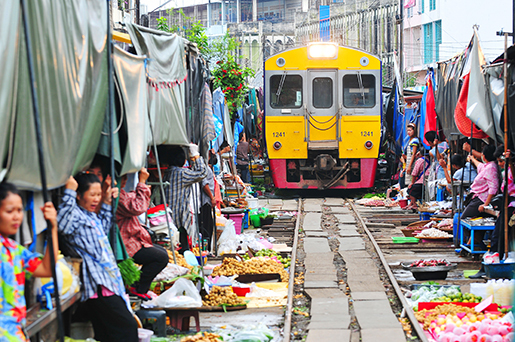 There is one place you shouldn’t miss, called Mae Klong Railway market, as known as Umbrella market. 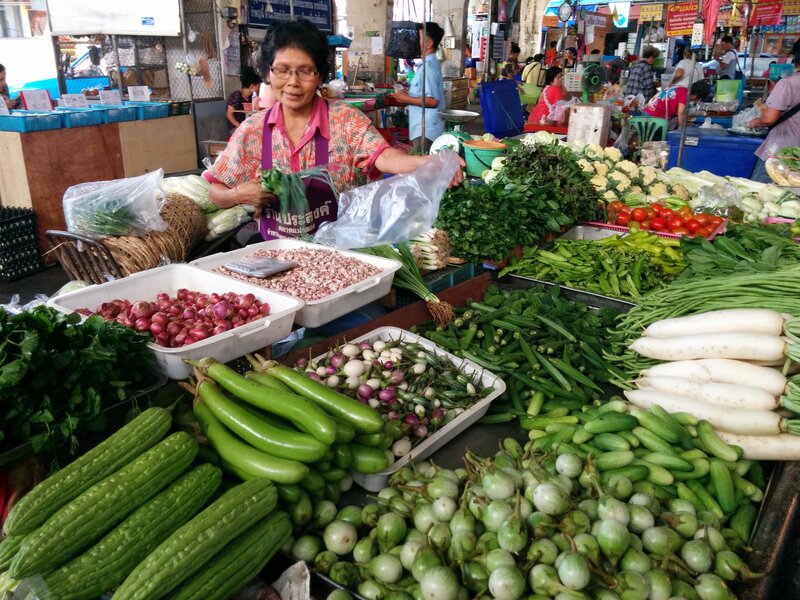 Many locals also call it ‘Talad Rom Hub/ ตลาดร่มหุบ.’ Unlike any typical fresh market, Mae Klong Railway market is the local community located right by the railway. They will pull over their umbrellas/ covers for their customers and the passerby. 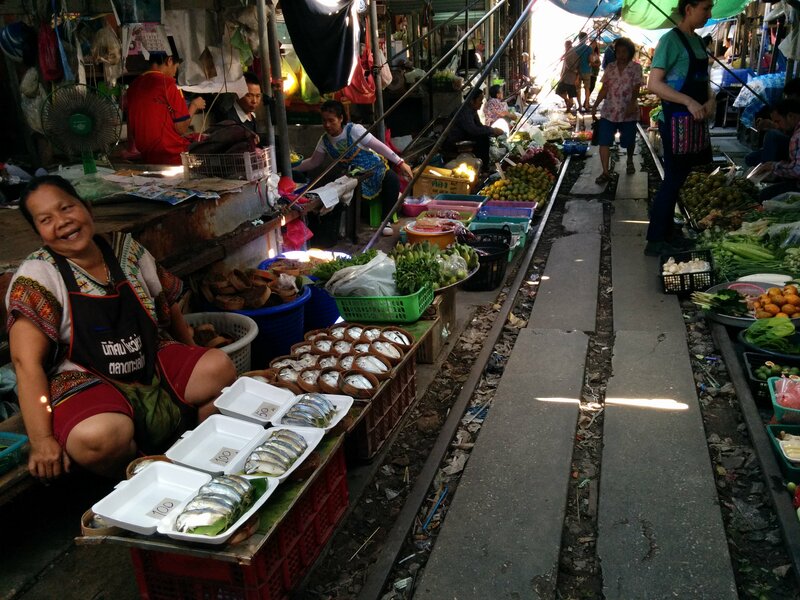 What you will see at the umbrella market…. 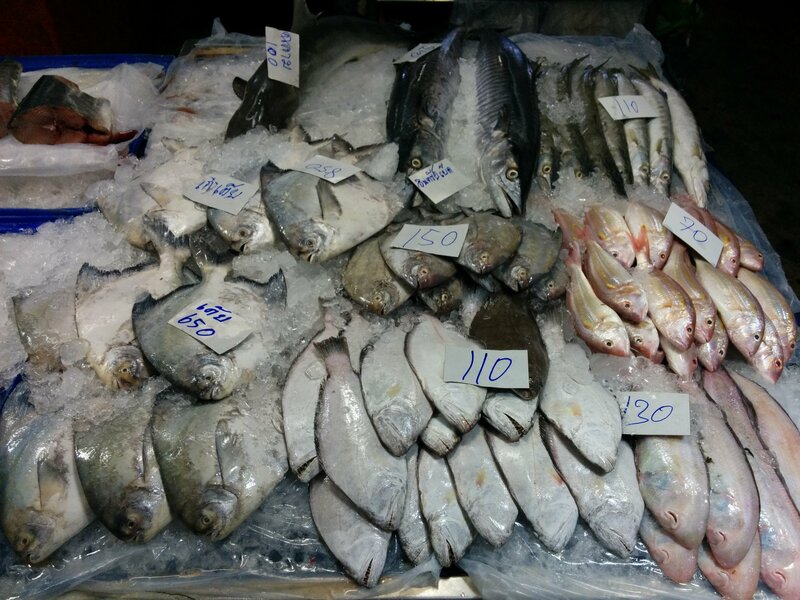 Fresh seafood is what local people never miss every time they’re visiting Umbrella market. No, not really. lol Don’t be fool by its appearance. Even though its consistency does look like something bloody, this is only salt-preserved mussel. The way they made it is very simple. Toss the mussel with salt, let them sit in a far for a week, add tamarind juice, leave it for another 2 days, then, boomm! here is your delicious salted mussel. 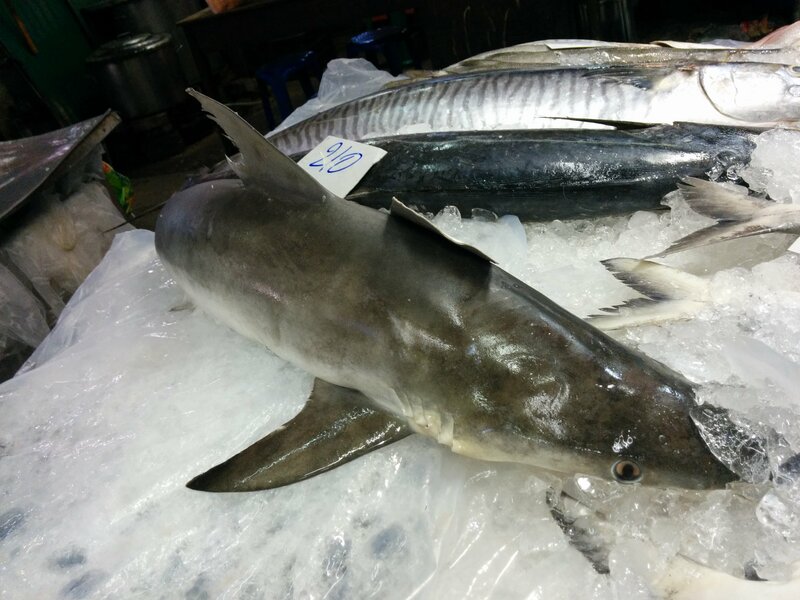 Local folks like to add this onto their spicy salad like Somtum. Scaling without looking at the fish….Scaling like a boss…. like these mantis shrimp. Many people might think that these little mantis shrimp aren’t edible. 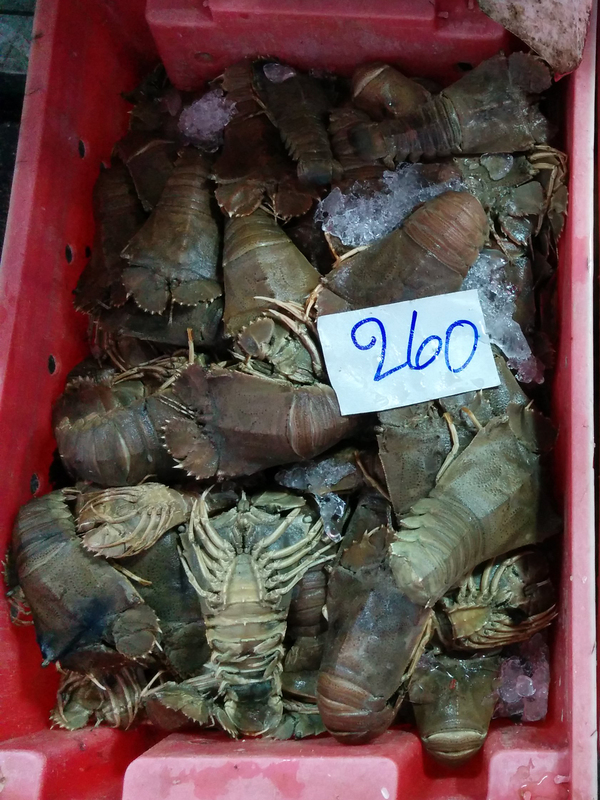 Wait until you get to try stir-fried mantis shrimp with garlic and black pepper….Oh my!! Definitely not for a fainted-heart. 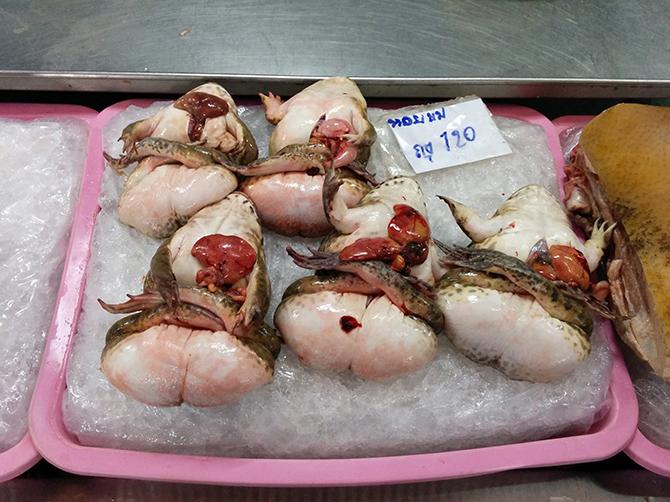 I have tried deep-fried frog legs before, but I’ve never seen something like this. Kind of scary, isn’t it? 10. One of the most important things you shouldn’t miss! I actually have a footage at the moment when the train is coming by Umbrella market, but I think it’s way cooler to just be there and see it by yourself though.